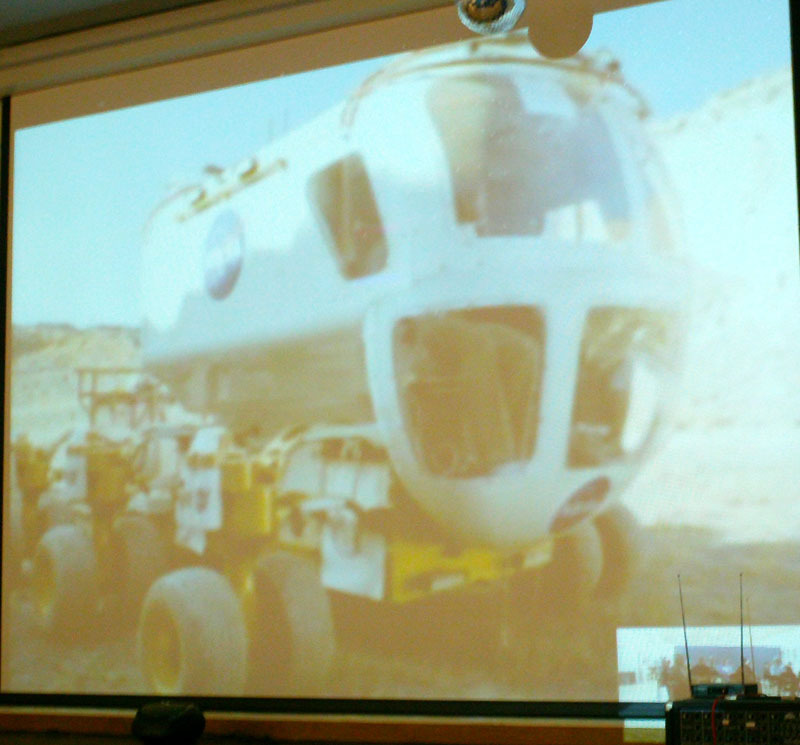 I attended a teleconference at the Winona Friendship Center today that connected with NASA’s Johnson Space Center Houston Texas. 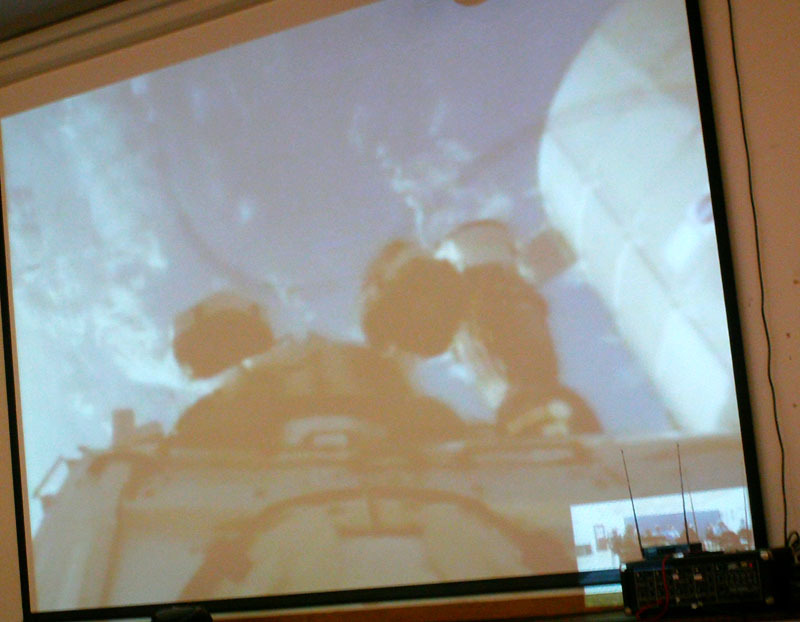 Video stream from NASA was projected on to a large screen and the sound went through a sound system making it easy for everyone in the room to see and hear the teleconference. When someone in Winona needed to ask a question a remote microphone could be handed to them and the person at NASA could hear them very well. The video displayed well enough with almost no stops or bad audio. 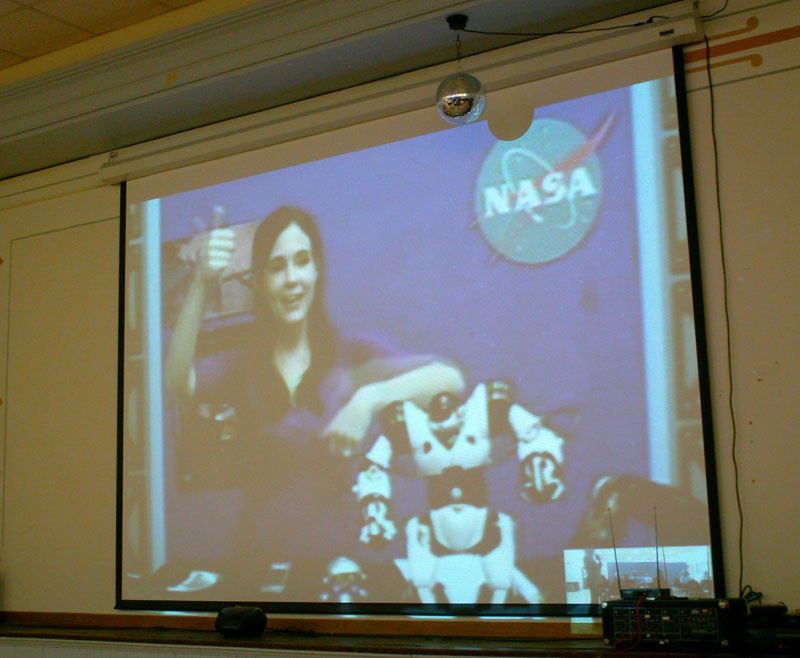 I thought the presenter at NASA did a very good job of explaining the subject matter and answering questions. The first several minutes were about background to current NASA activities such as International Space Station and how underwater training is done to simulate weightlessness. 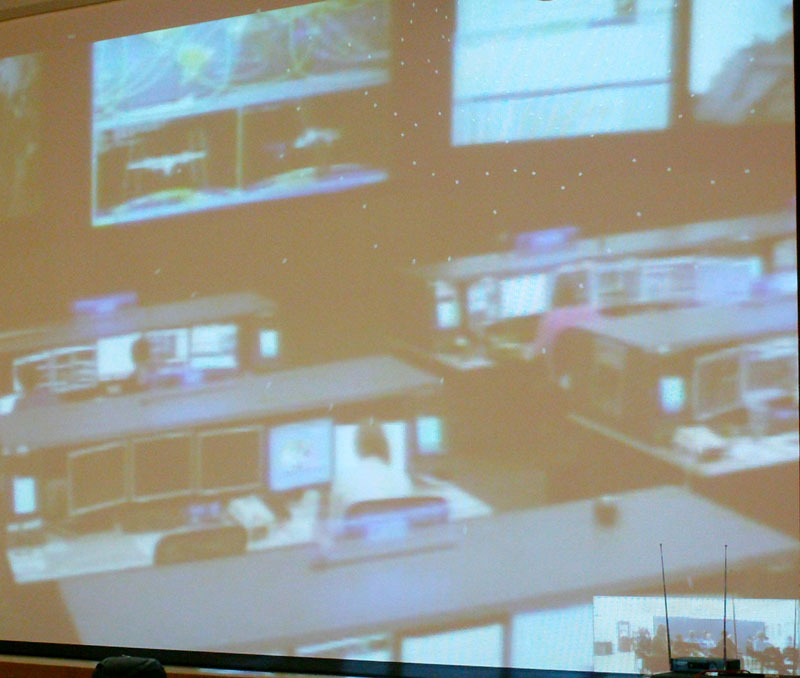 The command center at NASA was shown as was a view from the space station. 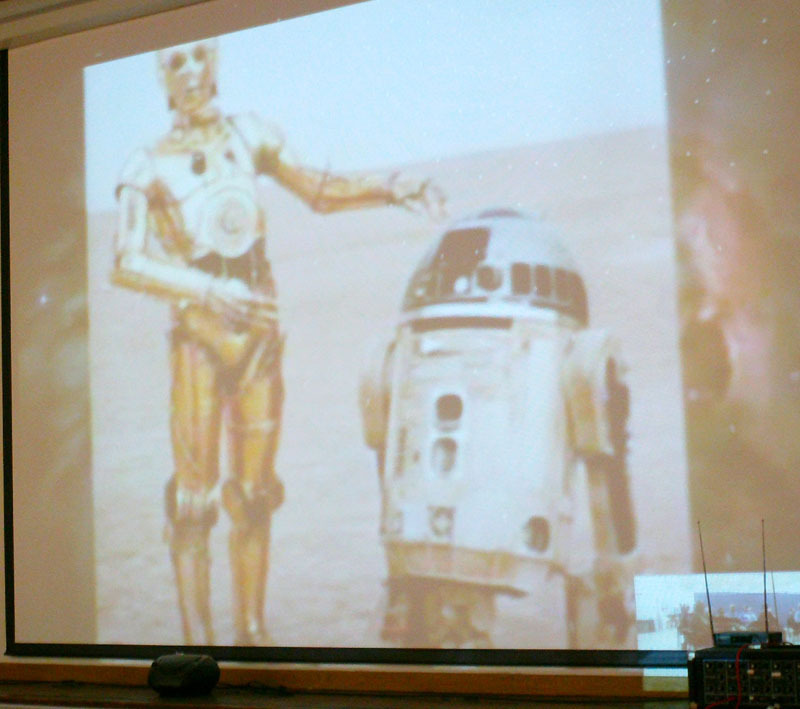 The major topic was NASA’s use of robotics and the presenter started by displaying the two famous robots from Star Wars. Everyone in the audience did moves to simulate the three major types of motion for robots which are also used in aviation; pitch, yaw, and roll. 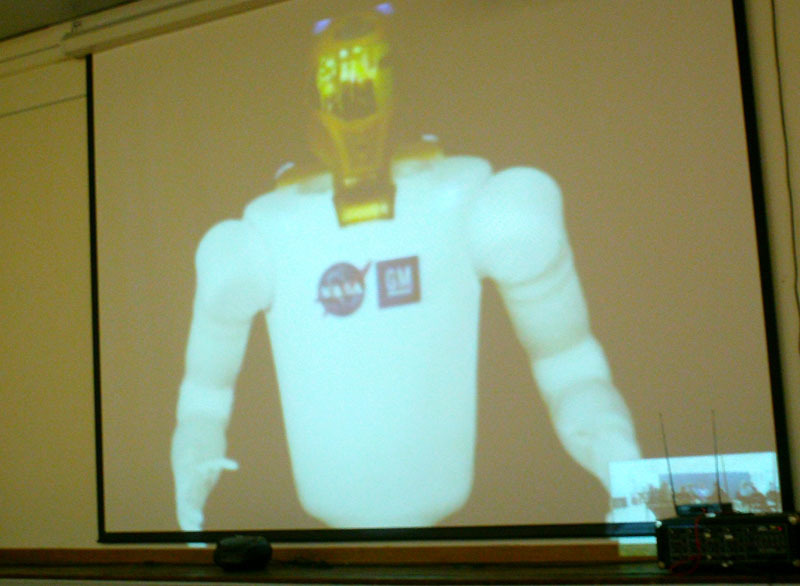 Many different robots were shown such as the type seen in factories, rover types like Curiosity, and a human-like robot. 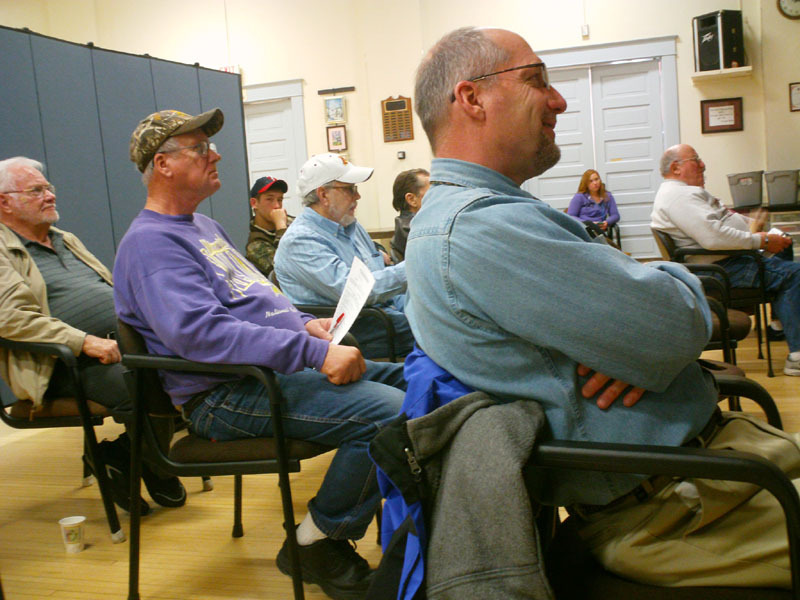 The presenter paused after different subject areas to check if there were any questions from Winona, there were a few. 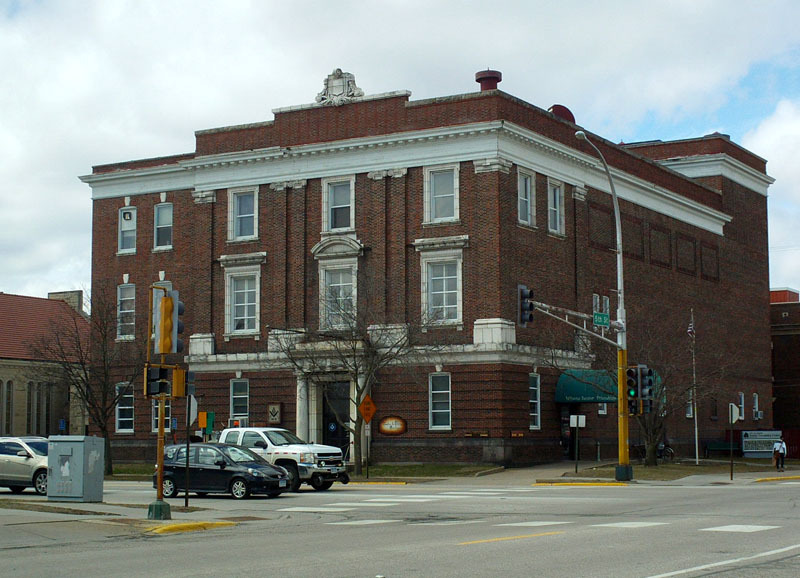 I think this a wonderful community service provided the Winona Friendship Center making it possible to communicate with the world in a way never possible before. Not only were there regular Center goers present but also several high school students.